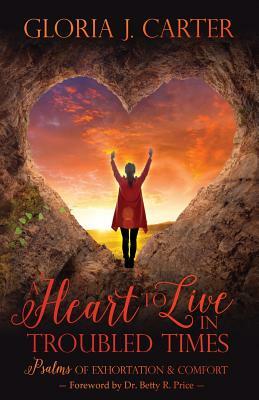 Gloria J. Carter shares openly about her difficult past in her touching memoir, A Heart to Live in Troubled Times. Gloria first gave her life to Jesus at age 9, but she was unprepared for the challenges she would later endure. The pressures of being a teenager and the constant struggles between her parents drove her into the streets of Los Angeles, where she spent several years in and out of drug rehabilitation centers. After what seemed to be a lifetime of trouble, she decided to end it all. Following several unsuccessful attempts at suicide, she began to cry out to God for help. Gloria expresses her turmoil through her heartfelt poems, which complements the narratives of her past. A Heart to Live in Troubled Times, offers a compelling reminder of where joy can be found from one who has battled for hope, and that is through Jesus the Christ. Gloria J. Carter first realized she had a gift for writing during junior high. This was the only way she could escape the frustration and painful reality of her dysfunctional home life. As an introvert, she expressed her emotions through poetry. She met her husband in 1987. In 1995 he died suddenly of a massive heart attack. Being a wife, mother, and caregiver inspired most of her writings. Gloria J. Carter has four children and two grandchildren and lives in Vancouver, Washington.